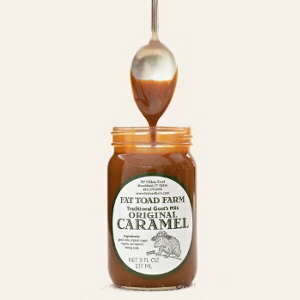 Fat Toad Farm’s Goat Milk Caramel Sauce was a mouth-watering favorite at the FanciFull Cheese Tasting 101 class last weekend. We served it with Bellwether Farms’ rich, creamy Whole Milk Ricotta Cheese. Heaven. It’s a long trip, but we feel it’s important to know our suppliers, especially when it comes to food. And it makes our gourmet gift baskets all that much better. Want to taste some of these and learn more about cheese? Sign up for one of our Cheese Tasting Classes.